"The film is the first in a trilogy exploring and reinventing the Bigfoot myth. We all remember the terror of watching such classics as THE LEGEND OF BOGGY CREEK, and I look forward to making Bigfoot scary again." -- "Exist" director Eduardo Sanchez. Another Sasquatchploitation movie. (Read our top 51 Sasquatchploitation movies) Except this one has a big budget behind it. Not only does it have a familiar director, Eduardo Sanchez from "Blair Witch" fame, it will star creature celebrity Brian Steele as Bigfoot whom will be costumed and designed by WETA workshop, famous for Lord of the Rings, King Kong, and Avatar. Exist is in the News againa as Casting has been complete and production has been given a start date; April 9, 2012. Below is a collection of reports from around the web, conveniently collected for you fans. 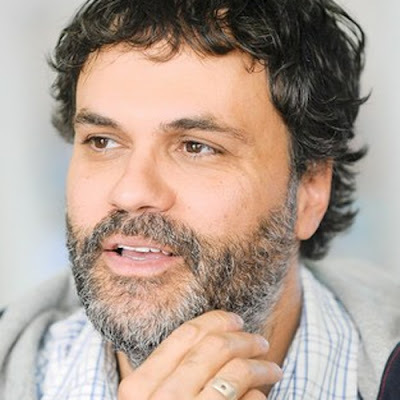 Haxan Films and Amber Entertainment are looking for Bigfoot, setting an October start date for lensing "Exists," with "Blair Witch Project" director Eduardo Sanchez to helm. "Exists," written by Jamie Nash and Sanchez, follows a group of twentysomethings who take a trip to a cabin deep in the wooded wilderness and are methodically hunted by a Bigfoot-like beast. "The film is the first in a trilogy exploring and reinventing the Bigfoot myth," Sanchez said. "We all remember the terror of watching such classics as 'The Legend of Boggy Creek,' and I look forward to making Bigfoot scary again." Eduardo Sanchez, the man behind The Blair Witch Project and the upcoming Lovely Molly has announced his next film: Exists. Hit the jump for more. Haxan Films and Amber Entertainment announced today they will start production on EXISTS on April 9th at Spiderwood Studios in Elgin, TX with Eduardo Sanchez (The Blair Witch Project, Lovely Molly) directing. Produced by Robin Cowie, Jane Fleming, Andy Jenkins and Mark Ordesky. The screenplay is written by Jamie Nash. The ensemble cast includes Dora Madison Burge, Samuel Davis, Roger Edwards, Chris Osborn and Denise Williamson. 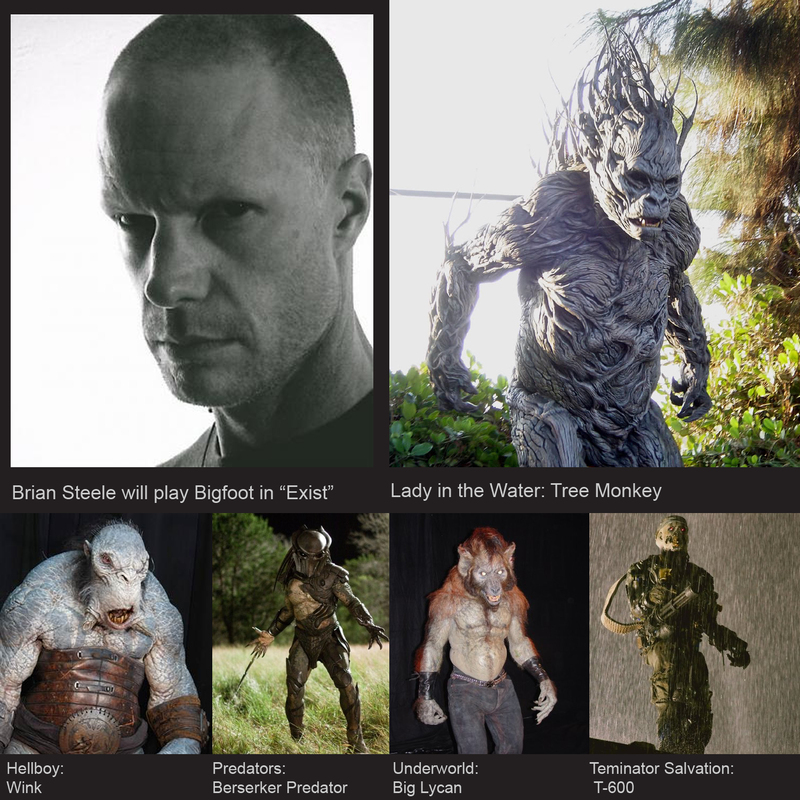 Brian Steele (Predators, Hellboy), the well-known “suit actor” will play Bigfoot. The film’s Executive Producers are Gregg Hale and Reed Frerichs. EXISTS is Sanchez’s first foray into found footage since The Blair Witch Project. The film is a horror-thriller that chronicles a group of friends who set out into a remote Texas woods for a weekend of fun and are stalked and hunted by Bigfoot. This is the second film produced under a multi-picture collaboration between Haxan Films (Blair Witch Project) and Amber Entertainment (The Frozen Ground). The first, Lovely Molly garnered critical acclaim after bows at the Midnight Madness lineup at Toronto and SXSW and is being released by Image Entertainment on May 18th. Production Designer Andrew White and Cinematographer John W. Rutland are also returning.